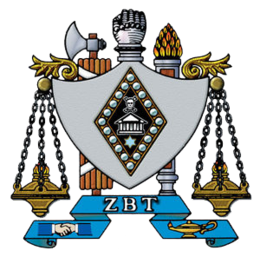 ZETA BETA TAU WAS FOUNDED AT CITY COLLEGE OF NEW YORK IN NEW YORK, NEW YORK IN 1898. THE GAMMA XI CHAPTER OF ZETA BETA TAU WAS ORIGINALLY FOUNDED AT UCSB IN 1967. Here at the Gamma Xi Chapter of Zeta Beta Tau Fraternity, we aspire for men of value, that allow us to create a brotherhood for a lifetime. In Greek life in general, there is excessive talk about brotherhood and sisterhood. In ZBT, it isn't just something we talk about; it's something we live by. As one of the largest fraternities on campus, there is no doubt that every one of our members truly knows each other. At ZBT we believe in true brotherhood. You'll see this all over campus and in our community, every basketball game when we have 20-30 brothers behind the net heckling the opposing team. We are involved in on campus activities ranging from Associated Students to the Art Club to the Division 1 Soccer Team. Our members come from all different backgrounds, from all over the state, all over the nation and even all over the world. There's never a dull moment at ZBT because there is an activity for everyone, from surfing to swimming to basketball to lacrosse to even an obviously competitive culture of fortnight, and everything in between. Aside from brotherhood, we hold the values of respect and care for each other, not only for our brothers, but everyone in our community. We strive for academic success, and we are proud to consistently have one of the have one of the highest GPAs in the IFC community. We work to make our brothers better people, and they work to make us a better fraternity. It's good to be a ZBT. The brothers of Zeta Beta Tau would like to wish everyone a good break and a Happy Holidays. See you next year! As summer comes to an end, we are all stoked and mostly unprepared for fall quarter. Here’s some highlights mainly stolen from our brothers instagrams. See you all soon! The brothers of Zeta Beta Tau had a pretty good time at the International ZBT Convention in LA. We are proud to congratulate Cody Taylor for winning President of the Year, and also our chapter for taking home awards in Outstanding Delegation and Best Risk Management Program. Pretty damn good to be a ZBT. Huge shoutout to @patrickdliddy from all the brothers on locking down a spot on the podium with his 1st place performance at the Lamborghini Super-Trofeo Race this past weekend in Ohio. We would like to showcase our Brother of the Month, El Presidente, Cody Taylor. We want to highlight this man for all the amazing work he has put in this winter quarter and spring. Despite being dedicated to guiding our fraternity, his extracurriculars include: skiing, music, water polo and even the occasional surf session. He has managed time and time again to lead our house towards something great, and we look forward to the future with Cody at the helm.